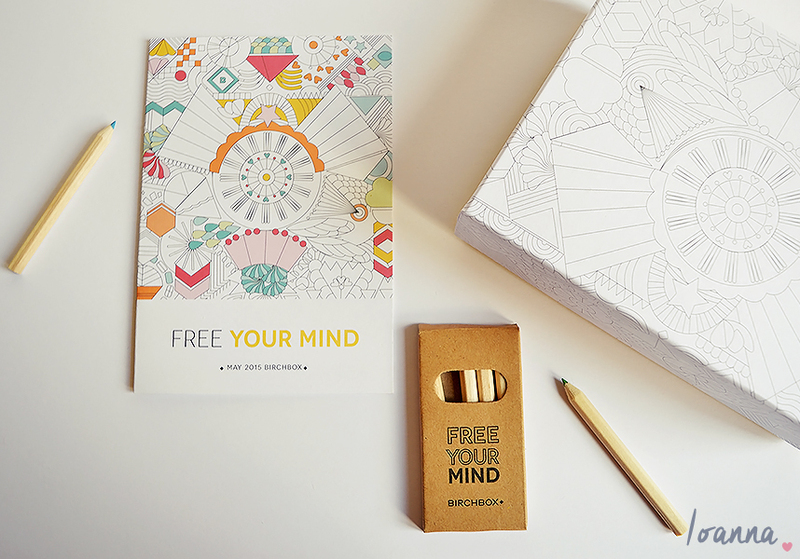 The theme for this month’s Birchbox is Free Your Mind. To encourage creativity and imagination the May box is customiseable – the lid can be coloured in however you choose and they’ve even included a cute set of 6 mini colouring pencils which I think is a really fun idea. 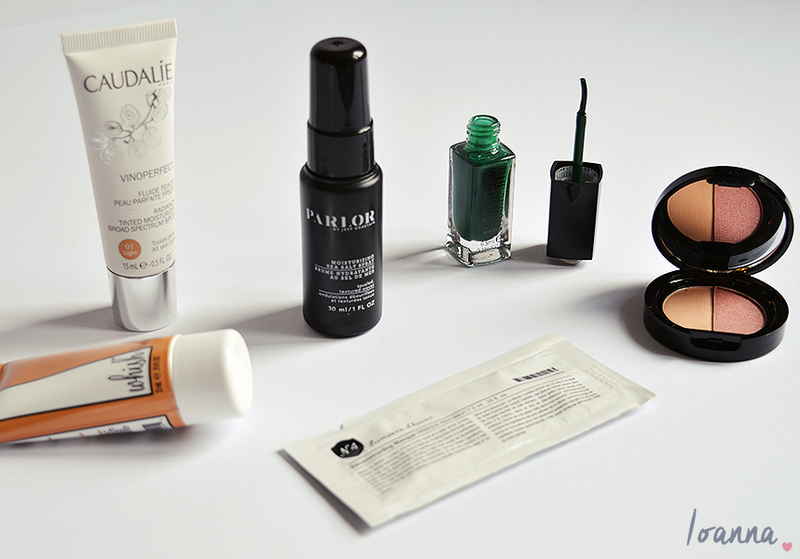 My box this month contains 6 samples rather than the usual 5. Firstly I received a Whish Body Butter. I’ve had one in a previous box which I enjoyed but the Almond version smells absolutely amazing so I can’t wait to use it. I’m excited to try the PARLOR Sea Salt Spray. My hair is always happiest in hot and humid conditions, so this sea salt spray might just recreate the effects of that salty air. As an added bonus it also works as a leave-in conditioner as it contains several nourishing ingredients. Staying on the hair theme, I was also sent a Number 4 Lumiere d’Hiver Reconstructing Masque sachet containing shea butter, jojoba seed oil and sunflower seed oil to nourish, condition and moisturise and silicone polymer to detangle and smooth. This sounds like it will be a lovely treat for my hair. I opted for the WAH London nail polish rather than the nail art pen or press-on nails when given the choice last month. I received WAH London Be Bitter Or Better which is quite a deep green. This isn’t a shade I’d wear in the Spring or Summer unfortunately as it’s quite dark so I’ll save it for Autumn but it’s a nice addition to my collection none the less. I also received Caudalie’s Vinoperfect Radiance Tinted Moisturiser. I don’t use tinted moisturisers as they don’t provide my spot prone skin with enough coverage so I’ve passed this on to my Mum to try. Finally I received Jelly Pong Pong’s Caribbean Sun Duo Bronzer. One half is a natural looking bronzer and the other is a peachy-pink blusher and the compact also contains a handy little mirror. I love a multi-tasking product like this, I’m sure I’ll get a lot of use out of it and it will be perfect for taking away with me on holiday. Generally I quite like the products contained in this month’s box, I’m particularly excited by the Sea Salt Spray and the Duo Bronzer and the nail polish would have been more of a hit if it was a Spring/ Summer appropriate shade. 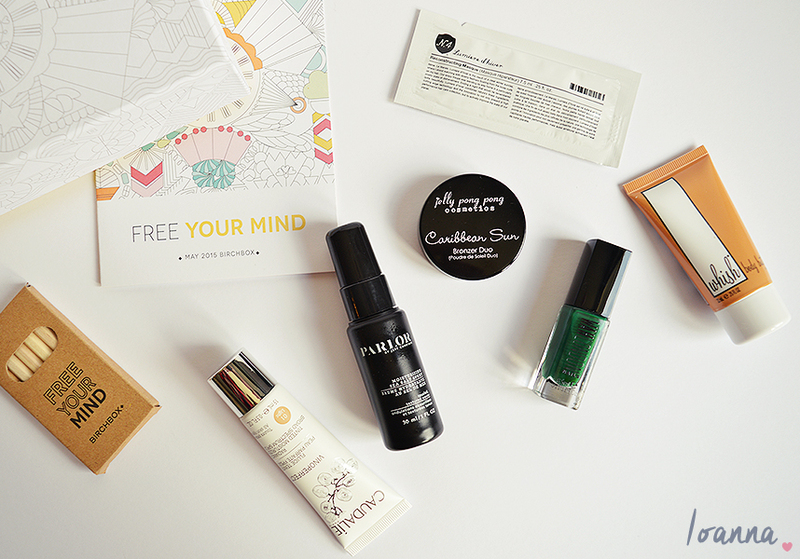 What do you think of the Free Your Mind Birchbox?